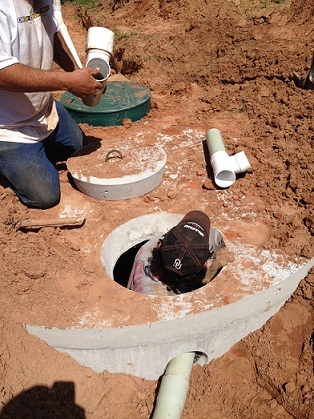 Need a new septic system installed? 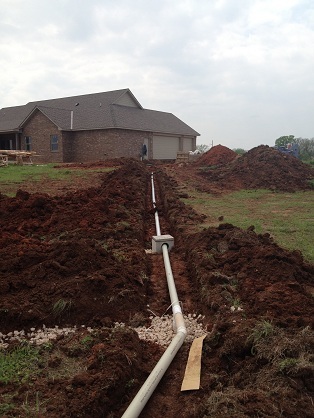 We’re equipped and experienced to handle any or your residential or commercial system installation needs. To be a leader in any service industry, a company must remain sensitive to the needs and concerns of its customers. 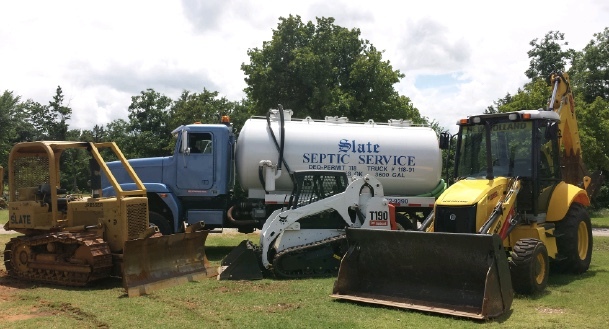 Today’s septic system customers are fully aware that their septic system represents one of the many ways they interface directly with the environment. They view the septic system, in modern terms, as an appliance. It performs a service as a part of the total comfort system of their homes and businesses. 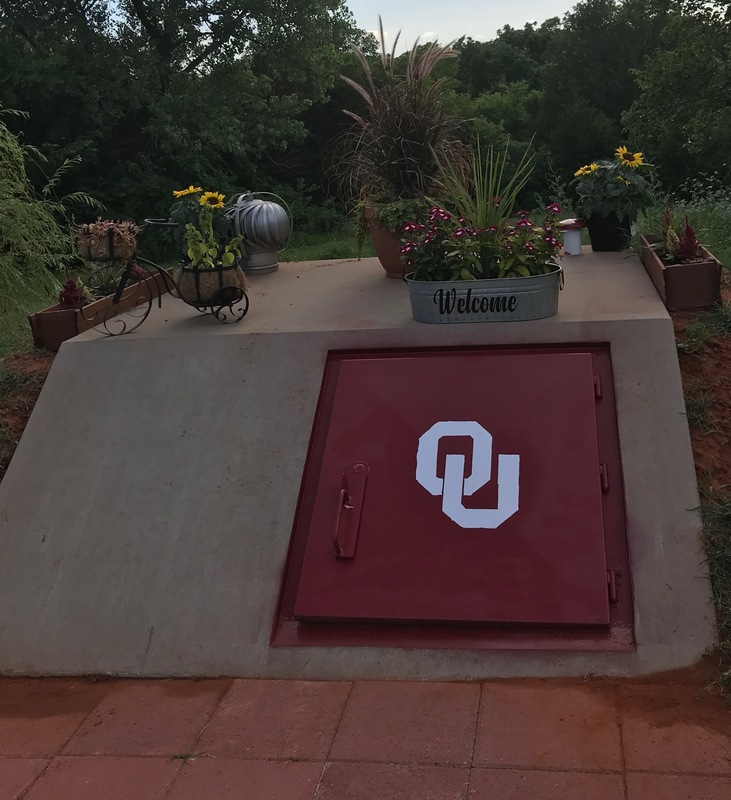 They understand that responsible decisions with regard to the care and maintenance of their septic system will have a positive impact on precious ground water, and on the economic plans they have for their families and businesses as well. This flyer provides information to help our customers make those decisions. Please read it carefully and keep it on file as a reference. First, let’s compare a healthy septic tank and a septic tank which is unhealthy. 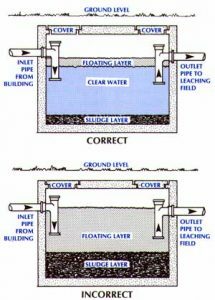 Trouble begins when material from either the floating layer or the sludge layer exits the septic tank to the leaching field. This will clog the field’s piping system and bring harmful unprocessed waste in contact with ground soils and ground water. A properly designed and maintained septic system is environmentally friendly and requires no major economic expense over the course of a lifetime. MUST BE PUMPED OUT REGULARLY! This maintains the size of the water layer and eliminates any possibility of sludge entering and clogging your leaching field thus contaminating the environment. There is no additive or home remedy to reduce the sludge layer. Replacing your leaching field is an enormous expense and inconvenience. The second part of septic system maintenance involves the bacteria necessary for digesting organic solids in the floating layer. Today many ecologically-safe home care products are available, and we encourage our customers to exercise good judgement to insure the proper operation of their mini treatment plant. Rural leaching of waste has been around for a long time and many myths exist. Yeast, when added to your septic system, merely provides a “fermentation” environment. Yeast does not provide bacteria. 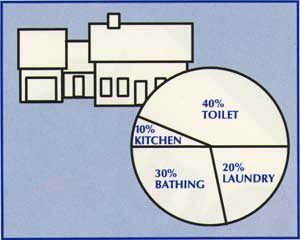 Baking soda raises pH in your septic tank. It provides no bacteria. 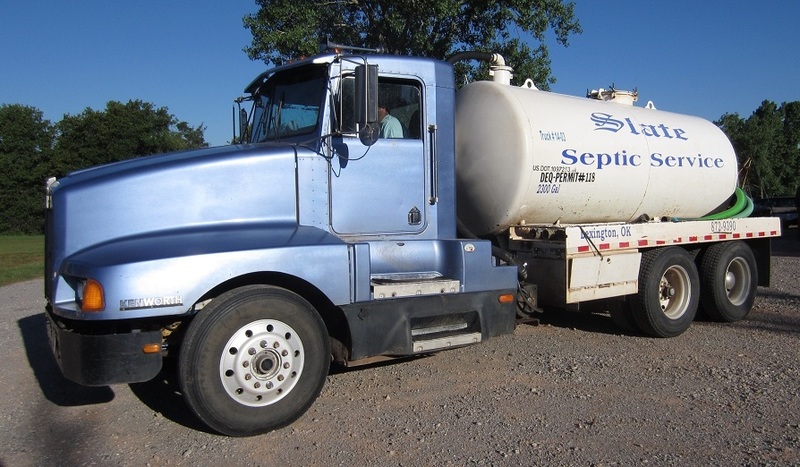 In fact, raising the pH of your septic tank too much can actually harm the septic process. We encourage you and all our customers to call us for factual information before trying home remedies. They are not designed to accept cigarette butts, table scraps, kitchen grease, garbage disposal refuse, tampon tubes, harmful household products or harsh laundry detergents. The physical size of your tank ( its volume ), the number of people it supports, the frequency of showers, laundry, flushing, etc., how much inorganic material is introduced, the design and condition of your leaching field and the type of soil in the area of your leaching field. Other services include tractor work, brush hog works, house pads, driveway work, creating ponds, and installing storm shelters. This product is a specially blended formula which is designed to improve and maintain septic tank and cesspool performance. One 2oz. packet of Slate Septic’s microbial formula contains approximately 300 billion bacterial organisms. Slate Septic was established in 1972. We have an excess of 40 years experience to meet your needs. We serve clients across Cleveland and McClain counties, including Norman, Noble, Slaughterville, Lexington, and Purcell. 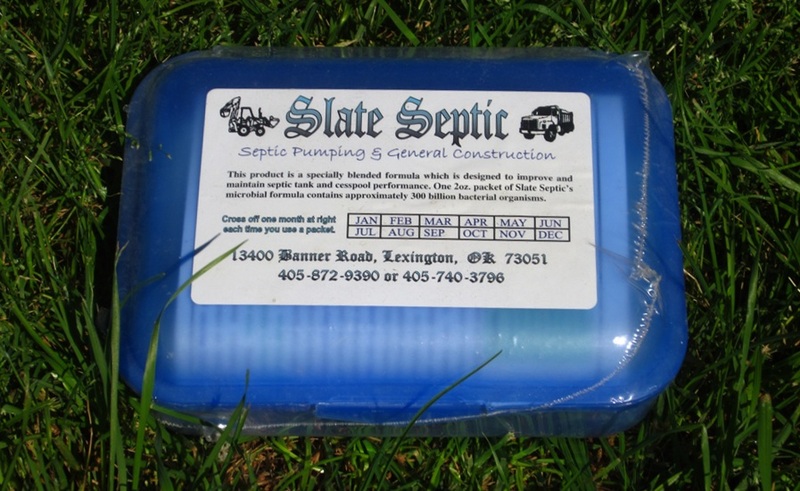 Thank you for your interest in Slate Septic. Please contact us with questions or if you would like a quote.